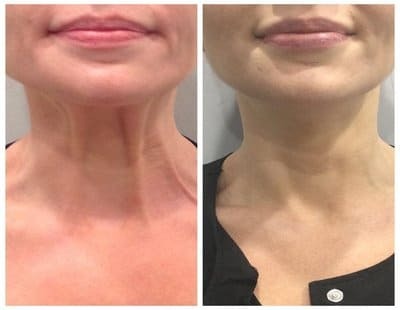 Injections can be performed at the neck by an experienced practitioner to reduce the appearance of the cords. Over time the skin covering the cords will relax, if this relaxation is too important, the injections will not work. Photorejuvenation lasers (ablative or not) give a result in case of very thin skin that falls under the action of the force of the platysmal cord. By densifying the dermis, the skin becomes more toned and reduces the cord. The selection of the right candidates is the key element of the result. Very pleased with the obtained result on my platysmas cords. Hyaluronic acid and laser sessions. Thank you Doctor Romano. 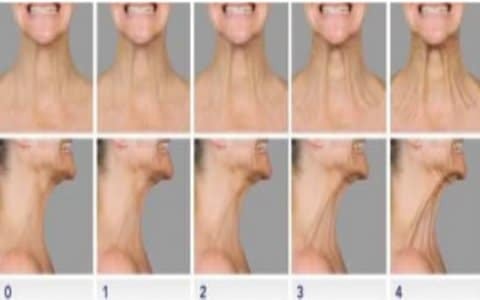 I’m a 50 year-old woman, I have a well-maintained face, but the two cords at the neck area were revelatory of my age. I consulted Doctor Romano who treated my demand. Exceptional doctor. I’ve been consulting Doctor Romano for a few years for cosmetic procedures. Last week, she fixed my platysmas cord problem and I’m very happy with it! I consulted Doctor because she was recommended to me by a friend. I had vertical cords at the level of my neck. Ultra-successful results, and natural. Laser 400-500€ each session, it 2-3 needs sessions.